Locaton: 3 km/2 Miles E of Concord. By Taxi: Concord Cab 225 4222 & Main St Taxi 226 8888. Rental Cars: HERTZ 223 4005 has a desk in Concord Aviation. Notes: This airport is used for general aviation only. Location: 5 km/3 Miles WSW of Lebanon, 2 km/1 Mile S of West Lebanon & 3 km/2 Miles SE of White River Junction. By Taxi: Big Yellow Taxi (603) 643 8294 & Upper Valley Taxi 443 1555. On-Airport Rental Car Providers: ALAMO/National (603) 298 5701, AVIS 298 7753 & HERTZ 298 8254. Airport Tel No: +1 (603) 298-8878. Location: 6 km/4 Miles S of Manchester and 69 km/43 miles NNW of Boston. By Taxi: To Manchester City centre ~$17. A taxi fare schedule is posted in the terminal with fares ranging from $8-17 for the Manchester area. 5-STAR Airport Service (603) 641 9709, A & W Airport Service 235 2720 & AAA Airport Service 222 1200. Many more companies available - see airport website. General: The bus shelter is outside the terminal. Cross the road outside, then turn left on the sidewalk. Manchester Transit Authority to manchester city center: Bus #1: Route: Elm St/Wall St - So. Willow/So. Beech - South Willow/Huse Rd - Airport Terminal - South Willow/Huse Rd - South Willow/So. Beech - Canal St Transport Center in the city. Timings: Runs very infrequently, departing the airport Mon-Fri at 0700, 0725, 1530 & 1555. Travel Time: To the city ~30 mins. Cost: $1. Exact fare only. Contact: (603) 623-8801. Bus #3 (Goffs Falls): Route: Elm St/Wall St - Canal St Transport Center in the city - Brown Ave/So. Beech - Airport Terminal - Brown Ave/So. Beech - Elm St/Queen City Ave - Canal St Transport Center in the city. Timings: Departs the airport Mon-Fri every hour 0550-1750. Departs the Downtown Transportation Center hourly 0530-1730. Travel Time: To the city ~20 mins. Cost: $1. Exact fare only. Vermont Transit to Boston, Vermont & Montreal: Runs buses several times a day to Montreal & Boston, with stops in betwen. Route: Boston Logan Airport - Boston South Station - Manchester Airport - Hanover, NH - White RIver Junction, VT - Montpelier, VT - Burlington, VT - Montreal, Quebec. Timings: Buses leave Manchester Airport for Boston daily at 0530, 1100, 1455 & 1830. Buses leave Manchester Airport heading North towards Burlington & Montreal daily at 1105, 1245, & 1935 (terminates at Burlington). Buses leave the airport for Hanover & White River Junction at 1455 & 1935. Travel Time: To Boston Station 60 mins, Logan Airport 1:20, Hanover ~90 mins, White River Jct ~100 mins, Burlington 3:45 & Montreal 6:35. Contact: (800) 552-8737. Flightline to Boston Airport: Run an airport express service to Boston Logan Airport every 30-60 mins 0630-1830. Cost: $19. Contact: 1-800 245 2525. Mermaid Transportation to Portland, ME: Run a door to door bus service to Portland, ME. Timings: Buses leave the airport daily at 0930, 1230, 1430, 1630, 1830 & 2000. Buses leave Portland daily at 0630, 0830, 1030, 1300 & 1500. Travel Times: Takes 2 hrs. Contact: 1-800 696 2463 or (207) 885 5630. Reservations are required. Flightline: Run door-to-door shuttles from the airport to many cities in MA, NH & ME. They also operate shuttles to Boston Logan Airport (see above). Tel 1 800 245 2525. Upper Valley Ride To The Airport: Runs door to door services from all over the Upper Valley to Manchester airport. The Upper Valley includes Hanover, Lebanon, NH and Norwich, Quechee, Woodstock & White River Junction, VT. Timings: 3 trips per day: Shuttles leave the airport at 0805, 1205 & 1605. Shuttles arrive at the airport at 0800, 1200 & 1600. Cost: Hanover, Lebanon, White River Junction or Norwich $54 one way/$95 round trip, Quechee $67/$125 & Woodstock $76/$142. Contact: Tel (802) 356-9320 or uvride.com/. On-Airport Rental Car Providers: HERTZ, AVIS, Budget, Dollar, Thrifty, Enterprise & ALAMO/National (603) 627 2299 have desks in the terminal. Off-Airport Rental Car Providers: U-SAVE is available off-airport. 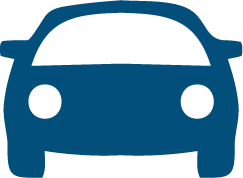 Car Parking: Short Term: Short term car parks are linked to the terminal by a covered bridge. $2 per hour, $15 per day, $70 per week. Long Term: $8 per day. Shuttle buses run to the long term parking lots every 10-12 mins. Airport to Airport: Flightline run shuttles to Boston Logan Airport (see above) and Portsmouth Pease Intl Tradeport. Tel 1-800 245 2525. Notes: There is a Hotel booking Board and an ATM/Cash Machine in the terminal. Airport Hotels: Tage Inn & Suites 1-800 322 TAGE offers free airport shuttle. Airport Tel No: +1 (603) 624 6539. Updated Sep12. Last Visit Sep05. Location: 5 km/3 Miles WNW of Portsmouth & 80 km/50 Miles NNE of Boston, MA. By Taxi: A-1 Taxi 427 1000, Blue Star 436 2774 & Doug's Taxi 436 2220. Coast Trolley: A bus runs from the airport terminal to the Portsmouth Transportation Center/Pease Bus Terminal and onwards to Portsmouth city. Runs every hour or so. Contact: Tel 603 743 5777. To Logan Airport: Route: Runs via Newburyport. Timings: Departs the bus station daily at 0350, then every hour from 0500-2000. Buses leave Logan Airport daily at 0550, 0650 (not weekends or holidays) then hourly 0750-2350. Travel Time: 1:15. To Boston South Station: Route: Dover, NH - Pease Airport Bus Terminal - Newburyport - Boston South Station. Timings: Departs the bus station Mon-Fri at 0350, 0515, then regularly every hour or so until 2200. Weekends & Holidays less frequently 0350-2200. Buses leave Boston South Station Mon-Fri at 05400, 0700 then ~hourly until 2330. Weekends & Holidays less frequently 0540-2330. Travel Time: 1:15. Foxwoods Express: Runs to Newburyport Park-n-Ride, MA, Haverhill Westgate Mall, MA & Foxwoods Casino. Timings: Departs the Pease Bus Terminal daily at 0710, arriving at Newburyport at 0730 & Haverhill at 0800. Departs Foxwoods at 1730. Contact: Tel 1-800 874 3377. Mermaid Transportation to Portland, ME: Run a door to door bus service to Portland, ME. Contact: 1-800 696 2463 or (207) 885 5630. Reservations are required. On-Airport Rental Car Providers: Budget (603) 431-1986 & ALAMO/National 431-4707 or 334 6000. Car Parking: Free parking outside the terminal or close by. Notes: ATM/cash machine in the terminal building. Updated Jul11 ADV. Last Visit Sep05.